Waste disposal is becoming a major problem in Australia. As the population continues to increase, the rate of wastage increases alongside. Statistically, Australia generates approximately 48 million tons of rubbish annually. According to the data from the Department of Environment and Heritage, the waste generated by Australians comes from three main sources. These include municipal or household waste, industrial and commercial waste, demolition and construction waste. The waste from households accounts for almost half the total solid waste in Australia, with every single citizen contributing about half a ton annually. Generally, household rubbish consists of metallic components, plastics, glass particles, paper waste, food scraps as well as garden waste. As you may have guessed, nearly every component of household waste can either be recycled or reused, but instead, is often tossed out after a single use. There are many waste reduction and management programs and organisations in Australia that help to create awareness regarding the need to effectively manage the waste that we generate. One of these programs is Clean Up Day Australia. What is Australia Clean Up day? Clean Up Australia is a non-profit Australian environment conservation organisation which was created in 1989 by two Australians namely, McKay Kim and Ian Kiernan. The event is taken place on the first Sunday of every March. Australians and the world at large, always unite and combine their efforts to ensure that we have a clean environment. Its main objective is to foster relationships among businesses, the community and the government and make it easy to solve issues involving environmental waste, climate change and water. Since it was founded, it has expanded to include other campaigns and projects aimed at making the world a better place by eliminating waste. How to help reduce waste? Hopefully, there are a lot of things Australians can do to reduce the amount of waste they generate. So, to help Australia achieve its waste reduction objectives this Australia day, we are giving effective, straightforward and practical tips to help you minimise your rubbish. If you didn’t know, the packaging is a huge rubbish-related problem and is estimated to represent up to thirty-five per cent of total landfill contents. Even though a number of companies have taken the initiative to provide consumers with reusable and recyclable packaging, a significant number of these packaging materials is not practical and often end immediately either in the oceans or landfills. Though it’s not possible to completely avoid packaging, you can potentially reduce the amount of packaging you purchase. For instance, you can choose to buy stuff at your local store instead of going to the supermarket. You can also prepare your own meals rather than buying packaged food. This is not only a good way to save the environment, but to save money as well! This is equally a great way to reduce your waste generation. Investing in second-hand products allows you to save the environment, and equally saves you a significant amount of cash. 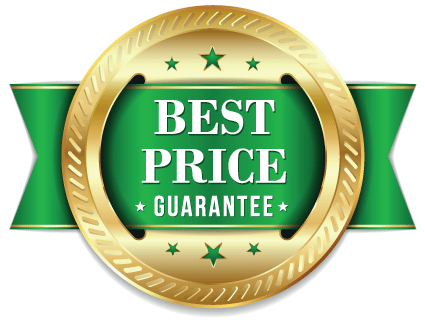 On the other hand, if you decide to purchase things that are new, look for quality products which do not wear out faster thus serving you for an extended period. What’s more, try to consume less whenever you can, carefully consider every purchase of yours. Before you dispose of anything, sit down and think if someone else could actually benefit from that particular item. Ask yourself whether the item can be repurposed for an alternative application. Simply put, always take your time and energy to try to give a used item a new lease of life. If you aren’t able to repurpose something, then you should think of donating it to someone who may find it useful. Your electronic devices, clothing and used kitchen appliances are a good example of some of the things you can easily donate to other people. Composting your organic waste reduces your landfill contribution, creates rich soil ideal for plant growth and saves you lots of money. Just like recycling, you send less waste to the landfill when you compost. What’s more, composting typically converts your household rubbish into healthy soil. It is arguably the most effective way to turn your kitchen and related yard wastes into usable, nutrient soil via natural decomposition. For every amount of waste dumped into a landfill, lots of raw materials must be extracted, refined and processed into newer products to replace those thrown away. Always make an effort to buy recyclable products.  What’s more, all your acceptable recyclable items should be put in the correct recycling bin for collection. When rightly done, recycling not only helps to conserve finite natural resources such as oil, minerals, gas, coal, water and energy but also limits greenhouse gas emissions. For more information or rubbish removal services in Sydney, contact Paul’s Rubbish Removal on 0407 125 125! 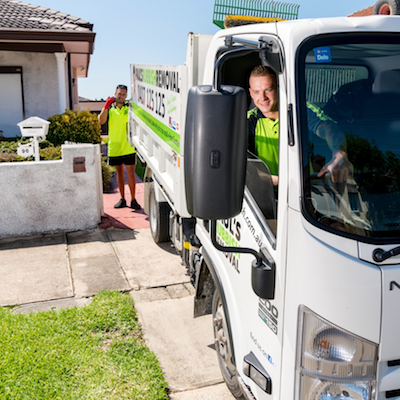 We are more than happy to discuss to you about your rubbish removal needs.